This little heifer is yet to be officially named, but I’ve been calling her “Zee Zee” after the great band from Texas- ZZ Top’s song “She’s got Legs”. Not sure it will stick when I fill out her registration but it works for now. She is here with her favorite babysitter, “Sookie” (yes, after the True Blood character) but the vampireaphobic Chickenman calls her “Spook”. Not every animal on the place gets a name. We kinda have a steadfast rule that we never name something we might have to eat. But that now makes me wonder why the Betta fish in the kitchen window is nameless-I better get on that. 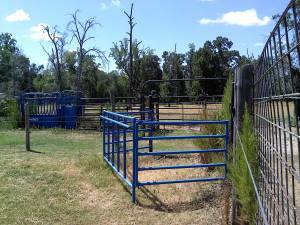 Over the years we have a wide variety of names for different cattle. “Brutus” was a rather spectacular steer I still think of fondly. Annabelle, Noel, Ruby, Demi, Dodge, Elton…have all come and gone. Monte Walsh and Comeback Shane have their own herds now. It seemed easier naming pigs. We had Hurley, Sawyer, Locke, Jin and even Sayid. 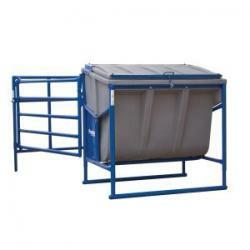 We got some looks at the stockshow with our pen sign with that Sayid pig. But we were huge fans of the TV show LOST at the time and these are all names of the male characters from the show. We are also fans of vampire novels and thus have a Sookie and a Bella although The Chickenman put his foot down when we wanted to name a bull Lestat. That’s when he named him Monte Walsh! I sure hope Mandy-Jo will help me naming this years calf-crop it seems to get harder and harder to come up with something fitting every year. 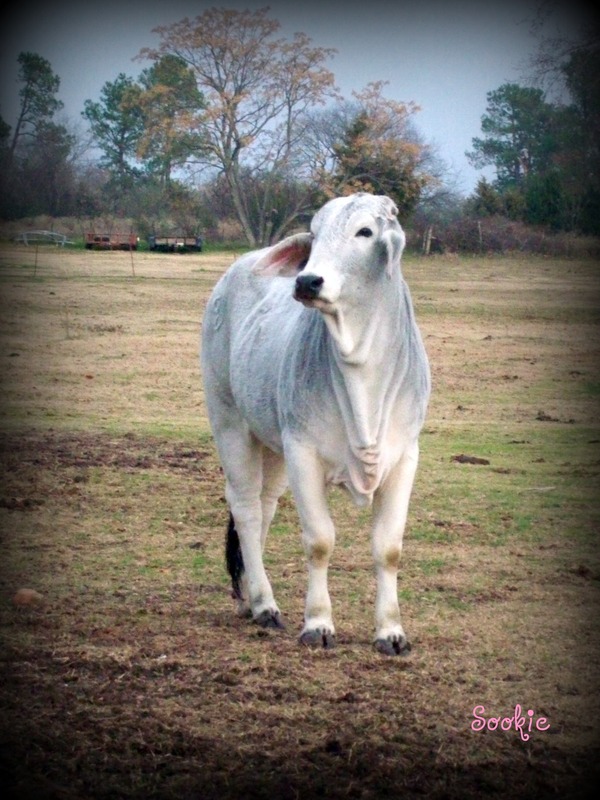 But the best name we ever had was a bull named, HumPy Bogart and it fit him perfectly! 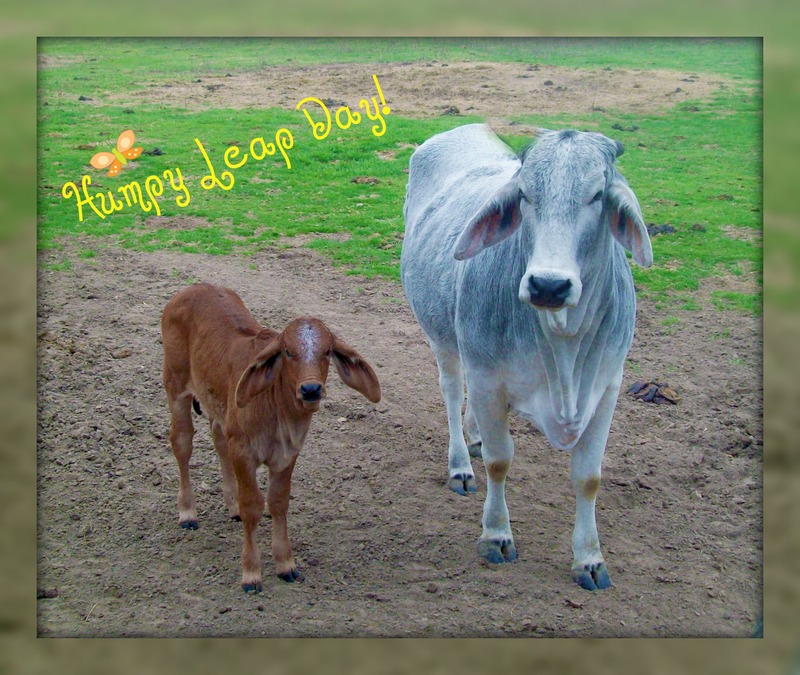 Enjoy your HumPy LeaP Day and if you have any great names for humPy calves, I’m open for suggestions! 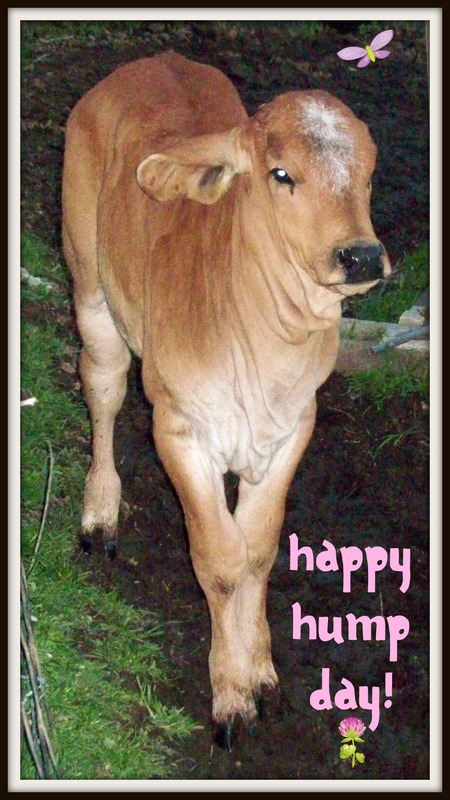 MJ Brahmans is honored to have pictures of some of our calves featured on the “Moosday” post of the National Cattlemen’s Beef Association’s Young Producer’s Council’s Cattle Call Blog. Meaty Monday-Crock Pot Pork Chops! 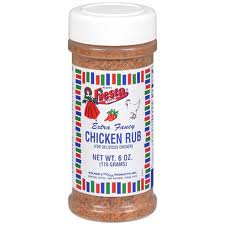 Fiesta Chicken Rub for seasoning Pork Chops 1 can of cream of mushroom soup. 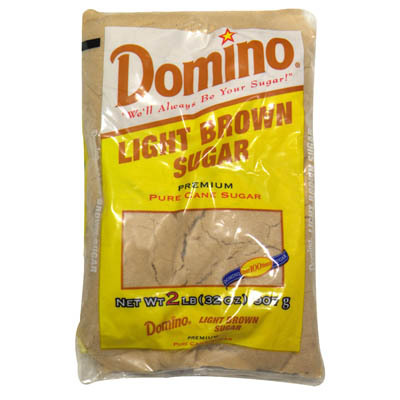 I use low sodium. 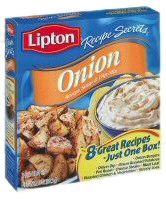 1 packet of Dry Onion Soup Mix 2 tablespoons of brown sugar. Rinse the Pork Chops and season them with several generous shakes of the Chicken Rub on both sides. Set aside. 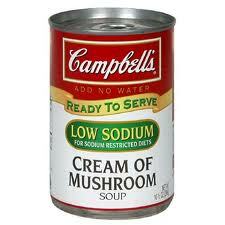 In your crock pot mix dry onion soup mix with the can of cream of mushroom soup, 2 tablespoons of brown sugar, 1 tablespoon of Kitchen bouquet and 1 1/2 cups of hot tap water. I use a wire whisk to get it all blended good. Go ahead and turn it on low and add the potatoes and the apples and give it a light stir to mix. The liquid should just about cover the apples and potatoes, if it doesn’t add more water. Heat a heavy skillet on the stove top to medium high. 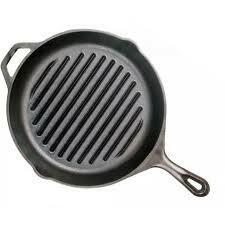 I use one like this to get the pretty grill marks: But one without grill ridges will work fine too. I gave mine a quick spray of cooking oil when it got pretty hot and quickly seared the pork chops on both sides. About 2 minutes each side. Then place the pork chops on top of the crock pot mixture. Don’t press them in, just gently lay them on top. Cover and cook on low for about 6 hours. Remove Pork Chops and place on serving plate. Remove and separate apples and potatoes. 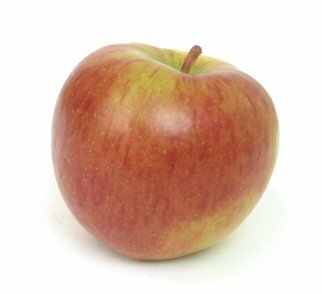 Use a potato masher or a fork to mash apples. 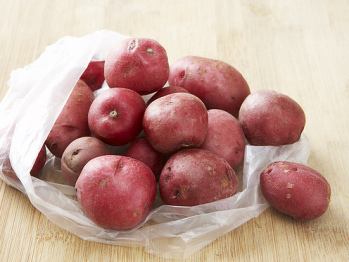 Cut the potatoes in halves or quarters and place in separate serving dishes. 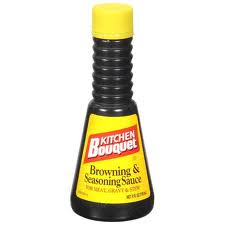 Pour gravy from the crock pot into a gravy boat or other serving dish. We topped our Pork Chops with the mashed apples and ladled gravy on our potatoes and served it with a fresh green tossed salad. YUM! 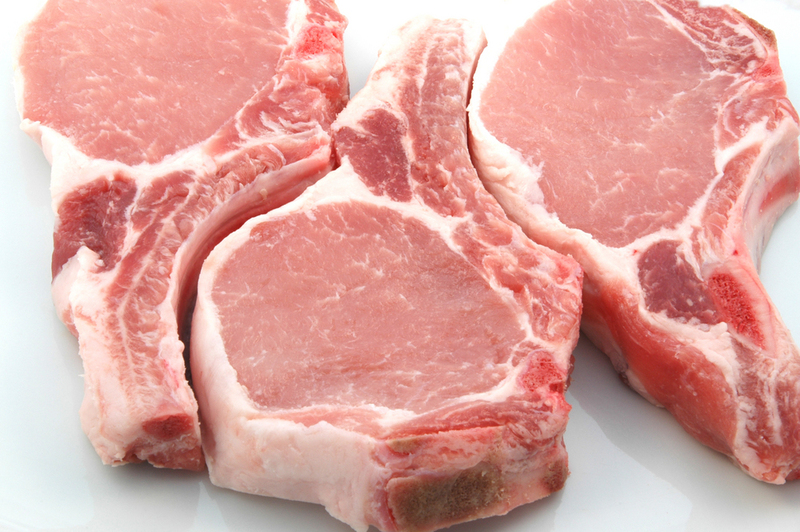 The pork chops are so juicy and tender you won’t need a knife! 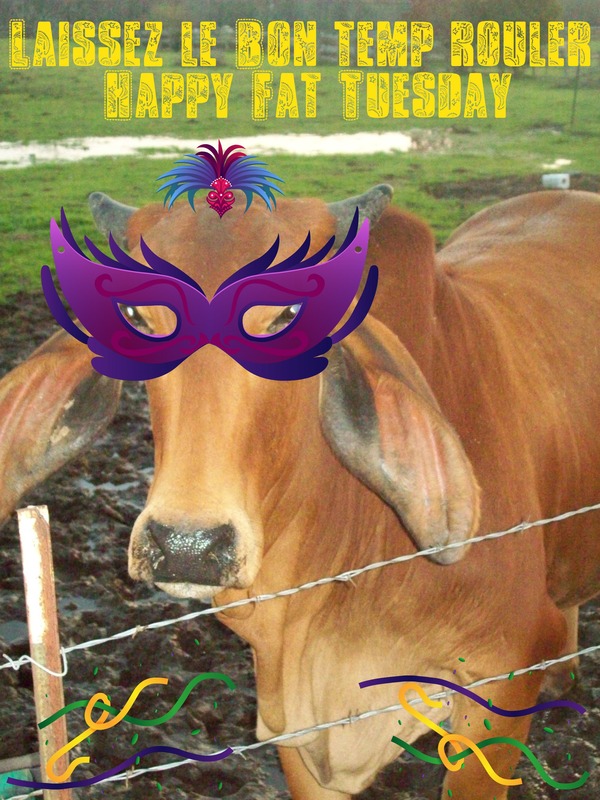 Humpy Valentine’s Day-Celebrate with Beef! The Chickenman and I will be celebrating tonight with a candlelit Prime Rib Dinner out in Mount Pleasant at Uptown Bliss with our friend Faustine. Did you know that more than half (51%) of Americans surveyed believe serving beef to someone best says “I love you,” more than all other proteins combined. It’s love at first bite. The Beef in an Optimal Lean Diet (BOLD) study, conducted by researchers at The Pennsylvania State University, found consuming lean beef daily as part of a heart-healthy diet lowered LDL “bad” cholesterol by 10 percent, which was just as effective as the DASH diet. This research provides convincing support that nutrient-rich lean beef can be an everyday part of a heart-healthy diet. 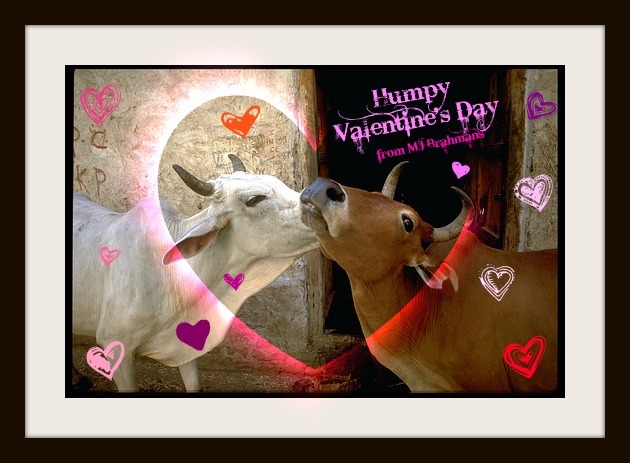 Humpy Valentine’s Day and we hope you get to enjoy a juicy, heart-healthy beef dinner with those you love!